The Nottinghamshire County Councillors' Divisional Fund gives every County Councillor £5,000 to spend on projects, people and organisations in their areas. Councillors' have supported a wide range of projects and organisations including sports clubs. For example, a football club received £100 for their under 9's team; a bowling club received £1,000 towards their pavilion; an athletics club received £1,000 for equipment and a football club received £500 for works to their clubhouse and changing rooms. Click here for the contact details of the local County Councillors. 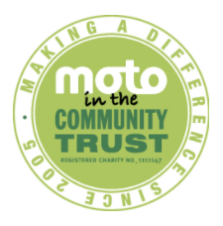 Community Organisation's within 15 miles of a Moto Service Area can apply for a grant from Moto in the Community Trust. There are a couple of Moto Service Areas which extend their reach into Nottinghamshire (check their website for the locations). The Lady Hind Trust is a grant making trust, normally meeting in March, July and November, to review applications and decide grants. The area of benefit is limited to Nottinghamshire and Norfolk. Activities relating to community healthcare services including home care, after care, sufferers of long term medical conditions and the continuing care of disabled people. The Trust does not make use of formal application forms. Applications must be made in writing and posted (not by email) to the Trust Administrator. The J N Derbyshire Trust supports people in Nottinghamshire by making grants to community and voluntary groups who work to improve their communities. There are currently two review meetings per year for all applications which take place in March and October. The deadlines for submission of the application form for these meetings are 31 January and 31 August respectively. 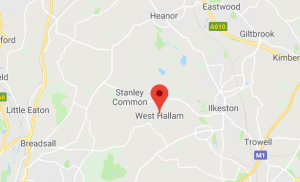 Awards are made for the benefit of persons under the age of 25 who are resident, or who have a parent or parents resident, in the Parish of West Hallam (just east of Ilkeston in Derbyshire) and who in the opinion of the Trustees are in need of financial assistance. The Trustees can assist in helping with the costs of apprenticeship; with the costs of following any profession, trade or occupation; with the costs incurred in normal schooling over and above those expenses paid for by the State; with the costs of Further Education; and in generally promoting the social and physical training of young persons, including assistance to any Charitable organisation in West Hallam devoted to the development of young people. 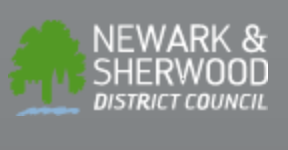 Newark and Sherwood District Council has a small grants fund that individuals and organisations can apply to, to support the development of community based projects and events within the district. The scheme is aimed at local charities, voluntary groups and not-for-profit organisations. The fund can help with sports and arts events but also general community projects and events. For example, are you raising money to help revamp the kitchen facilities in your local community centre, or organise a community fun day? Your organisation must be based within Newark and Sherwood district and be primarily for Newark and Sherwood residents. All projects must be completed and funding spent within 12 months of the start date. The panel places a higher priority on applications that demonstrate sustainability and continuation beyond the end of the project. Click here to find out more about the fund. To complete the form you must know who your local ward councillor is. You can find this information here. Each District Councillor is allocated a small budget and has the discretion to award grants to community activities that will benefit the community within their respective electoral ward areas. Councillors will consider grant applications for sports; culture and heritage; environment and sustainability; social welfare; and community activities. Any application for a Community Grant must be discussed with the relevant Ward Member(s) in the first instance. The activity for which you are applying for must be located within the Bassetlaw District or be of significant benefit to people living in Bassetlaw. Community groups and grassroots organisations are invited to make applications to work in Area 5 (Berridge and Sherwood wards) with older people on issues of poverty and its consequences and to raise awareness of food and fuel poverty as well issues of isolation and loneliness. Short-term, time limited projects and activities addressing the key priorities and fulfilling the grant criteria can apply for a grant of up to £1,000. All projects must be completed by 31 March 2019. Closing date: applications are assessed each month, and must be submitted by 25 November 2018 or 25 December 2018. Groups interested in making a funding application can contact NCVS or Nottingham Equal for advice and support in developing their proposal and completing the application form. Download the full application pack here (direct link to Word document). The fund is being managed by the Neighbourhood Lead organisation for Area 5, which is NG7 Training Employment and Advice (NG7 TEA). For further information, please contact Jawaid Khalil, Business Development Manager. Email jawaid@ng7tea.org.uk or call 0115 979 1052. 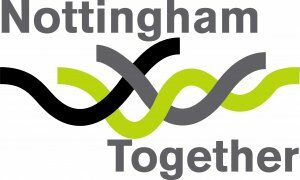 Nottingham Together grants of between £50 to £200 are aimed at achieving the best benefits for established resident communities, and enabling or encouraging cohesion and integration amongst newer communities in our City. Any group of people with a good idea can apply for support from Nottingham Together's Seed Grants programme, you don't need to be a registered of formally constituted voluntary sector group. Projects, events or activities for which funding can be applied for should be community driven, providing a wide variety of opportunities to bring people together. This could include cultural festivals, sport, dance, coffee mornings, newsletters, story-telling and open days; spread right across the year. They are particularly interested in activities which provide opportunities for bringing people from different backgrounds together and activities ongoing activities which allow people to get to know each other and develop meaningful relationships. Your project, event or activity must benefit Nottingham residents. For further information please contact Nottingham Together on 0115 876 1110 or email NottinghamTogether@nottinghamcity.gov.uk. Deadline: as early as possible - there is no application deadline; limited funding is available and applications will be assessed as soon as they are received until all funding has gone. Nottingham City Homes (NCH) aims to inspire and support local community groups to 'make a difference' through the delivery of creative and innovative projects, which will have a lasting and positive impact in the community and illustrate the positive relationships between NCH and its customers. Applicants can apply for funding for their project from £250 up to £2,000. In order for your application to be successful you must provide evidence that the funding will directly benefit a proportion of NCH residents. 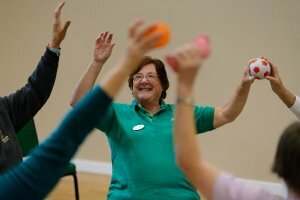 This funding is available to Nottingham City based tenants and residents associations or local community groups who, for example, may want to deliver an event or activity in their area or kick start a community project that will contribute to improving the lives and the health and wellbeing of our tenants and residents in different ways. You are encouraged to be as innovative and creative as you wish with your ideas – we just want you to make sure you involve as many NCH residents as possible. We also encourage applicants to apply for match funding to secure additional funds to deliver, complete or enhance a project. 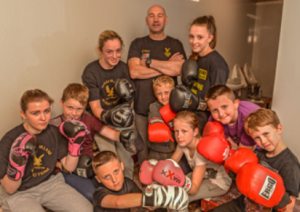 The FANS scheme provides sportspeople of a national level with free access to fitness, swimming and aerobics for 12 months at Rushcliffe Borough Council run sports facilities. FANS aims to assist elite sportspeople to achieve their full potential by reducing the financial burden of training costs. The scheme is only available to Rushcliffe residents who are members of national squads in Sport England recognised sports. Please visit the Council's elite athlete page for further information. The Coach Scholarship Scheme enables people who coach at a club in Rushcliffe to achieve and improve their coaching qualifications and experience. The scheme aims to encourage volunteers and unqualified coaches to begin coaching, as well as helping qualified coaches to progress and raise the profile of professional coaching. It has been set up to financially assist coaches who wish to complete a Level 1, 2 or 3 sports specific coaching course and who are actively coaching in the borough on a voluntary basis. The scheme will offer grant aid of up to 50% of the cost of a course (up to £200 per participant and £600 per sports club). Click here for more details about the fund. N.B. Round 3 closes 26th January 2018. The programme has been established in partnership with Active 4 Today, Ashfield District Council, Bassetlaw District Council, Gedling Borough Council, Mansfield District council and Rushcliffe Borough Council who are all committed to supporting the development of the County's sports coaches and volunteers. Working in partnership with Active Notts the following courses are available and will provide opportunities to further develop knowledge and skills. See Club and Coach Education Programme 2017-2018 for more information on the courses and how to book a place. Each ward in Mansfield has its own name and contains approximately 1,300 eligible voters. It is a councillor's responsibility to represent all those who live, work or study in their ward. Find the ward in which you live, work or study - ward map [9Mb]. 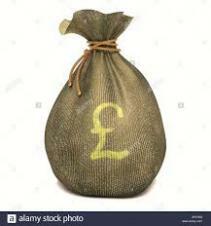 Councillors have access to £1,000 to donate to community groups or projects in their wards each year. The allowance is intended to help councillors to respond to community needs and to support projects for activities that benefit the communities they represent. The £1,000 annual allowance can be donated to more than one community project throughout the year. If you are interested in receiving financial help for a community project, please contact your local councillor. Broxtowe Borough Council provides financial assistance to voluntary organisations and other bodies together with a limited amount of funding to individuals. These grants are only made to individuals who are amateurs and whose excellence is of national or international significance such that a grant would allow individuals to participate in a national or international event or to achieve that status. As a general guide individuals undertaking sporting activities should have reached regional standard as a minimum. Revenue grants to Community/Residents Associations, Mother and Toddler/Pre-School Playgroups, OAP Welfare Organisations and sports Clubs are awarded by the Director of Finance under delegated authority with the maximum annual grant payable being £100. Additional funding above this amount may be available where groups can demonstrate that they are addressing the particular needs of disadvantaged sections of the community. There is no capital grants budget for the current year. However, in exceptional circumstances, consideration may be given to requests for assistance towards one-off, planned capital expenditure. Applicants should note that although it has been normal practice to award grants at the 25% level or 50% level the final decision rests with the Finance Committee that has the power to award a grant at a higher or lower level. Any capital grants will not be paid until the relevant paid invoices have been submitted to the Council. IGas Energy Plc is one of the UK's leading onshore hydrocarbon producers, delivering natural gas and crude oil to the energy market. They have sites in the north of the county – at Tinker Lane - DN22 8QF and Springs Road - DN10 6E . Projects need to be focused within 5 miles of one of their sites. IGas Energy are keen to support community and voluntary organisations that are charitable, educational or benevolent in purpose. They also welcome applications from local schools, especially those involving projects that reach out into their communities. Beyond all else, you have to be able to demonstrate the need for your project, real community benefits and value for money. Please note that they cannot consider applications covering a wider area unless they can show specific and substantial benefit to the "host" community and its immediate surrounds. The closer your project is to the IGas location to which it applies the stronger your case. Sustainability – projects that promote sustainable development. IGas are now inviting grant applications for their 2018 round. They need initial expressions of interest in order to register your project and then require submission of full applications by 28 February 2018. Their grants panel will make its decisions in April 2018, with funding available from May. The University of Nottingham wants to support projects that enhance the relationship between students and permanent city residents. Community Chest offers grants of up to £500 for projects linking students, local residents, community organisations and local agencies into initiatives that aim to improve community relations. The remit is very broad and we are encouraging interested applicants to use their imaginations. Environmental projects, community events, and improved communication could all be relevant. The University welcomes applications from local community representatives as well as student organisations. All project suggestions must be provisionally discussed with melanie.futer@nottingham.ac.uk before applying. There is no deadline for applications – grants are issued on a rolling basis. Other organisations and agencies working with University of Nottingham students and permanent Nottingham residents can apply for the fund as long as direct student/resident collaboration can be evidenced.